A Secure Socket Layer Certificate (SSL) enables a secure internet, protecting sensitive information such as credit card details as it travels across the world’s computer networks. Imperative for providing website privacy, identification and data integrity, an SSL is an online mark of trust. As Google Chrome is setting restrictions on their browser, notifying users if a website is missing an SSL, we decided to take a look at what an SSL actually is, why it’s important and how you can obtain an SSL certificate. SSLs are small data files that connect a website’s details to a cryptographic key. 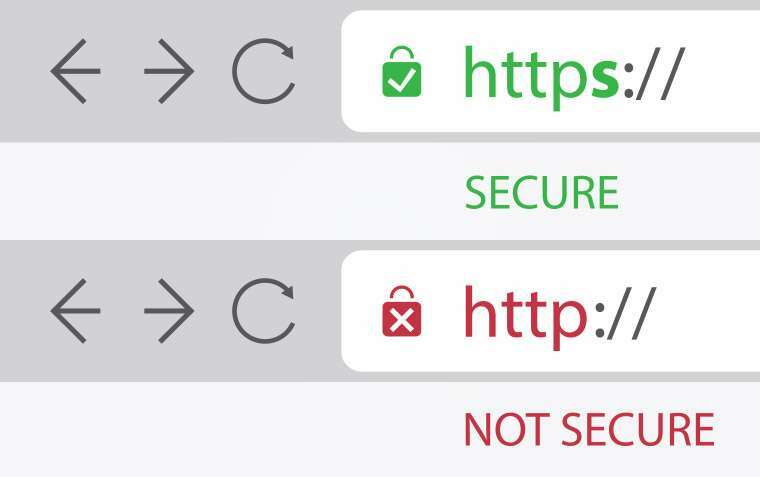 When installed on a server, it activates a ‘padlock’ and an https protocol, allowing safe connections from a web server to a browser. Generally used for logins, data transfer and credit card transactions, it ensures only those concerned can access the associated data. HTTP (Hyper Text Transfer Protocol) defines how messages are transmitted to the visitor’s browser and which actions the server should take. HTTPS is the secure version, using an SSL or TLS (Transport Layer Security) to encrypt all communications between the website and browser. The key difference between a HTTP and HTTPS is that a hacker wouldn’t be able to decrypt any data that goes between you and your website with an HTTPS. Why Is An SSL Important? The main function of an SSL certificate is to provide server-client protection, encrypting all website information so that only the intended recipient can view it. Especially useful when it comes to sensitive data such as passwords, credit card numbers and IDs, it helps protect your website against scammers and hackers. When you install an SSL certificate, you go through a validation process, which verifies the identity of you and your website. Your website then gains trust indicators, so that your users know who they’re talking to. Such verification ensures that no-one can create a fake website pretending to be yours (also known as Phishing), therefore taking people to your real website. HTTPS has a good correlation with first page Google rankings, according to Brian Dean’s analysis of 1 million search results. As Google has stated HTTPS is a ranking signal, this isn’t surprising. In fact, this July, with the release of Chrome 68, Google will be marking all websites that haven’t implemented HTTPS as not secure. If your website is ecommerce, or you accept card payments, then your website must be PCI DSS (Payment Card Industry Data Security Standard) compliant. In fact, having an SSL certificate is 1 of the 12 primary requirements set by industry, along with incorporating virus scanning software and a secure data centre into your operations. An SSL provides an easy to identify sign that instantly tells your visitors that your website is secure, making it much more likely they’ll engage with it. You can check whether your website has an SSL by clicking here. If not, a good way to get an SSL certificate is to ask your website hosting provider if they offer SSL certificates.